Why can’t we be Peter Parker? We were into science stuff in high school, but it never led to us getting superpowers. 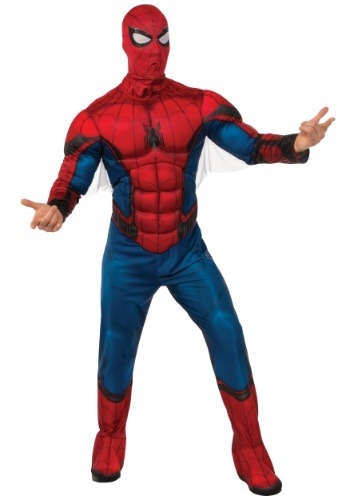 Peter waltzes into a science lab, gets bitten by some kind of weird radioactive spider and, well, you know the rest. Swinging through the New York cityscape, beating up criminals with his bare hands and making wisecracks. Meanwhile, we’re stuck here working a desk job, because we never got to be Spider-Man. 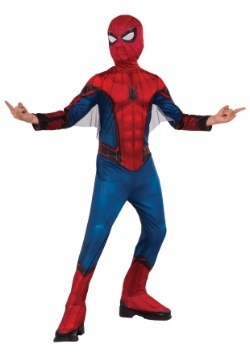 If you can relate to that, then you’ll understand why this adult deluxe Spider-Man costume is THE costume to wear! Yes, it’s true. 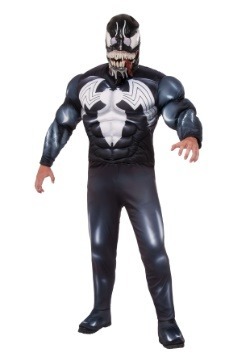 This costume might not give you any superpowers, but it is officially licensed from Marvel, so you can at least be sure that it will make you look like the superhero from the comic books. 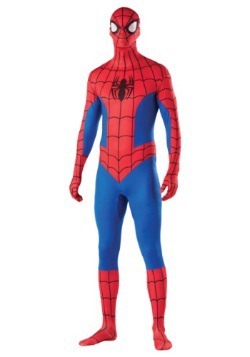 The costume comes with a red and blue jumpsuit, complete with printed webbing details on the front and back. 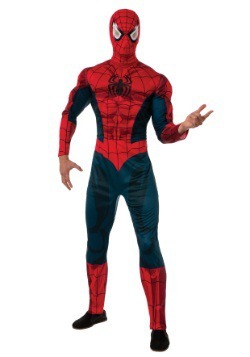 It also has the spider-shaped symbol on the front, like the one seen in Spiderman: Homecoming. Muscle padding in the chest, abs and arms help you look like buff, so you don’t even need to spend a copious amount of time in the gym to get superhero physique. 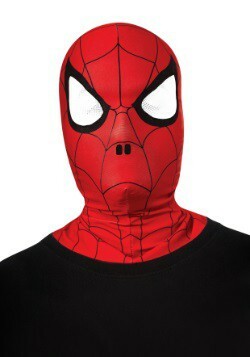 Topping it all off is the classic Spider-Man mask, which has printed webbing detailing an mesh white eyes. Once you have it on, you might feel like joining Iron Man for a battle against Captain America, or you might feel like helping an old lady across the street! (She might buy you a churro).